iPad device is not only a popular smartphone but also a powerful memory. Apple used the Flash storage to store the all original data and temporary data from all data sources. 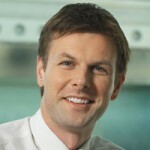 But in fact, well-designed memory devices aren't going to solve data loss problem. If you're used to save sensitive files on your iPad device and don't back up your iPad, losing data on your iPad may be a big disaster to your life, work or business. iTunes can help you solve most data loss cases, but what if without iTunes backup? Without valid iTunes backup files, how can users get back the iPad data? Here we would like to suggest two simple and efficient way for you to restore iPad without iTunes. iRefone is the first recommended tool that helps you to restore iPad without iTunes backup. This program provides you powerful function that can help you recover lost/deleted data from iPad/iPhone without backups in no effort. 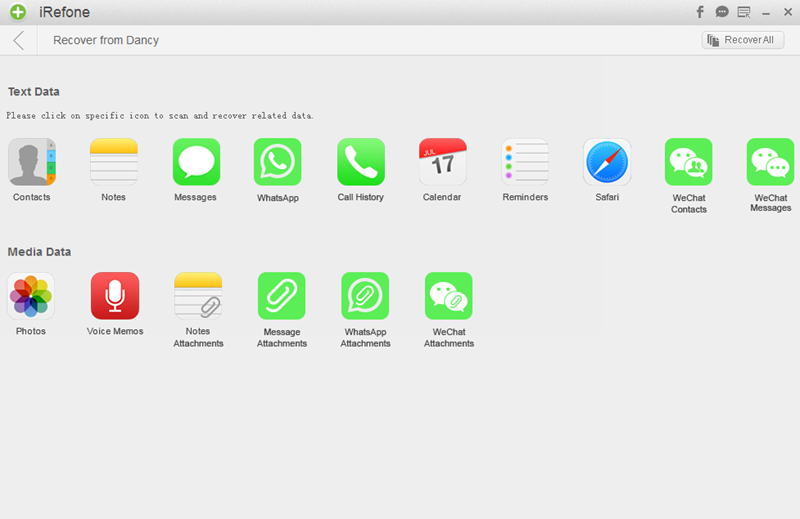 It supports to recover data including messages, notes, contacts, photos, videos, whatsapp, wechat and more. 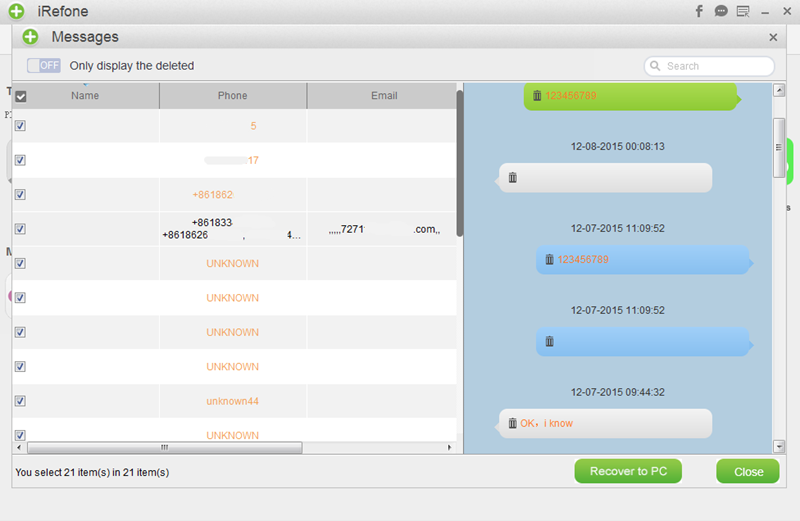 Before restore, it allows you to preview data in the software and selectively choose these data you need to recover. 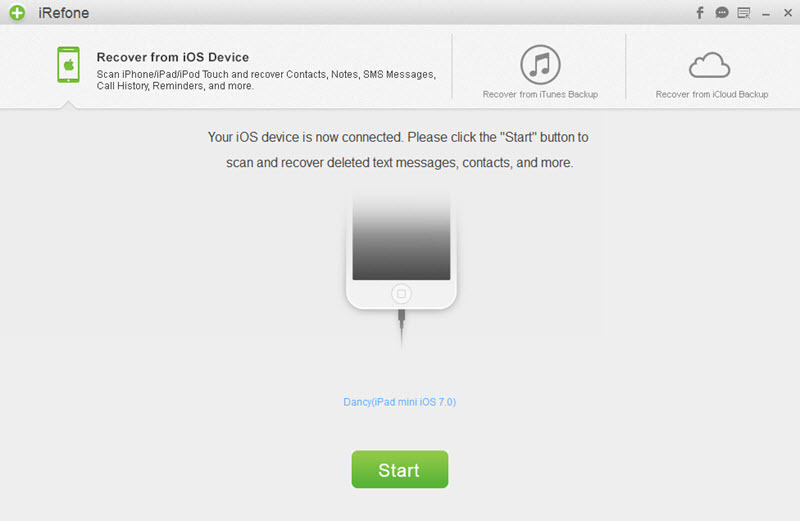 Download the trial version and read below tutorial to restore iPad without iTunes. Step 2: Then it will bring you to a interface to ask you choose the data you want to scan. Choose the icon of the data you need to restore and the software will automatically scan and analysis your device after you click it. Step 3: When the scanning is finished. All of the data you choose on iPad will be displayed, including these deleted and lost one. Select these data you need and click on “Recover to PC” or “Recover to Device” to save these data on your computer or directly transfer back to iPad. If you do not have iTunes backup but have the backup in iCloud, this is another method that iRefone applies for an iPad restore without iTunes. 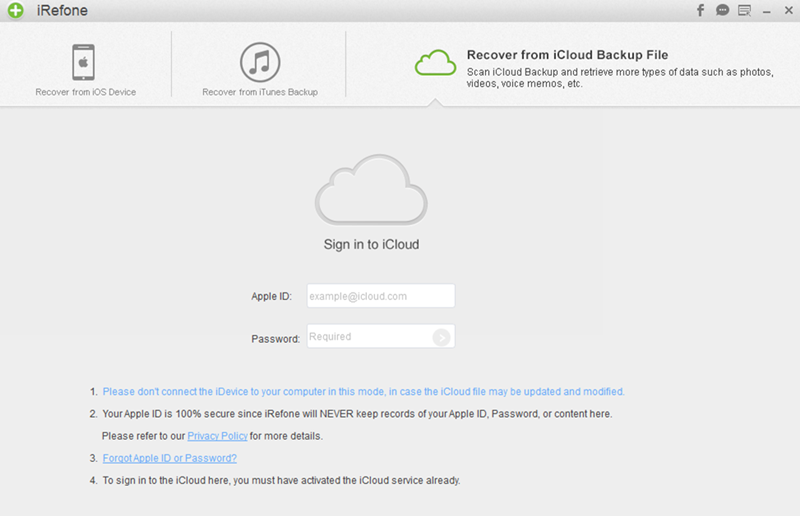 Step 1: Choose “Recover from iCloud Backup” to recover store iPad without iTunes. Sign in your iCloud account with Apple ID and passcode. Step 2: Choose the data you want to download in your iPhone. This process will reduce the time of downloading. The less data you choose, the less time wait for the downloading. Step 3: When the downloading process is stopped, you can click the icon of the data to start display the data of your iPad. 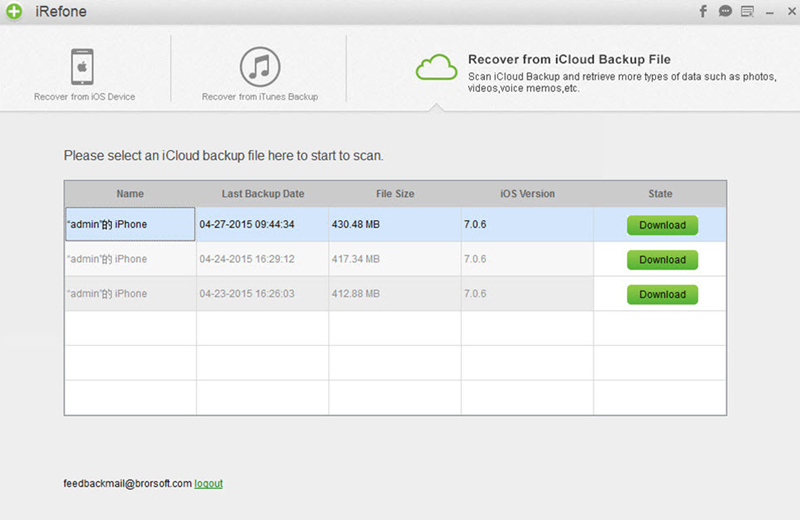 Step 4: You could preview all of your data in iCloud backup. Select these data you need to restore them on your computer.